A Mount Everest climber shared footage of deadly avalanche descending on Base Camp, killing and maiming dozens of alpinists and Sherpas. The one behind the camera does not realize till the very last moment the true danger of what’s happening. 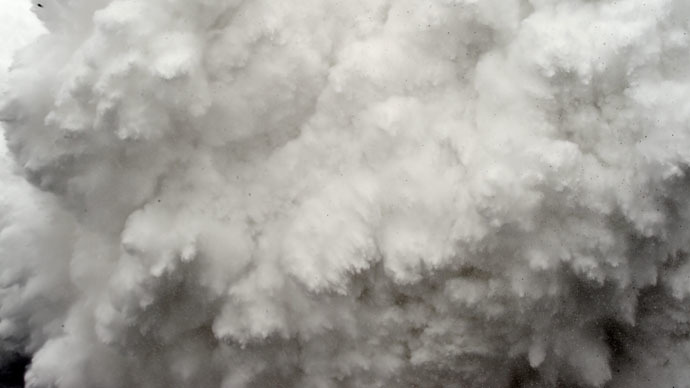 The video lasting 46 seconds was made with an iPhone immediately after the first and most powerful tremor on April 25, at a camp where Everest climbers collect strength before their next advance towards the peak. 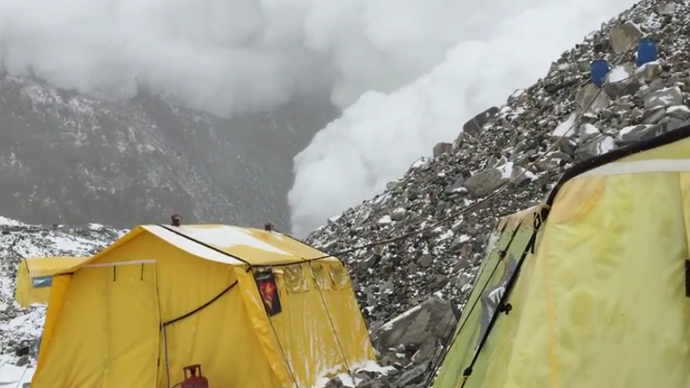 The man rushed out of a tent to take a look around after the quake and filmed the very moment of an avalanche walloping the tents. “I was in shock and disbelief during this whole filming ordeal, not being aware that roughly 20 fellow porters, Sherpas and climbers had just died and about 50 had been critically injured in my immediate camp,” climber Chimu wrote in an annotation to the video. The videographer survived the avalanche and together with HIMEX (Himalayan Experience) teammates took part in the subsequent rescue operation.